Latest Telemundo Offering A Long Overdue Homecoming For Miami Promoter Felix Zabala Jr.
After more than seven years, Felix “Tutico” Zabala Jr. felt it was finally time to bring the promotional tour back home. 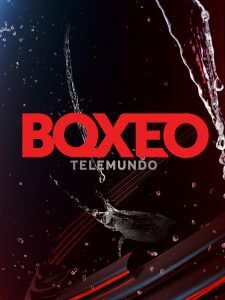 For the first time since 2011, the long-running “Boxeo Telemundo” boxing series will air live from the greater Miami area. Mexico’s Ricardo Espinoza and unbeaten Colombian prospect Yeison Vargas will collide in a 10-round bantamweight battle, headlining a 10-fight card at Hard Rock Hotel & Casino in Hollywood, Florida (Friday, Telemundo, 11:35pm ET). The placement is the latest wrinkle in a fall season that continues to break tradition from the current series formula. The 2018 fall season began later than any of its predecessors since the series changed formats from 12 monthly shows to three four-episode seasons per year, and for the first time since the rebrand launch will air somewhere other than Mexico City or central Florida. It also features a new co-promoter, with Zabala’s All Star-Boxing, Inc. partnering with local promoter The Heavyweight Factory in presenting this weekend’s show. While this week’s telecast features a change of scenery, the headlining act features elements of familiarity. Espinoza (21-2, 18KOs) returns to the series after making his Telemundo debut this past August. It was a hell of an entrance, as the 21-year old from Tijuana scored the biggest win of his career in knocking out Daniel Lozano in the 2nd round in his opponent’s hometown of Tampa, Florida. The win was his 10th straight, with Friday’s contest marking his second straight Telemundo-televised and stateside appearance. In order to get there, he’d have to accomplish something he hasn’t done since his 3rd pro fight—bump off an unbeaten opponent, with even that feat coming against a boxer who was just 1-0 at the time. Vargas (17-0, 12KOs) comes in with far more experience and bang for the buck. Still, the 28-year old is himself stepping up in class along with making his stateside debut. Yet, he views his relative obscurity as a weapon in the form of the element of surprise. Nine bouts grace the undercard, including an intriguing welterweight crossroads bout between unbeaten Puerto Rican prospect Derrick Cuevas (18-0-1, 14KOs) and Miami-based Colombian trialhorse Breidis Prescott (31-14, 22KOs). Also featured on the show are a slew of unbeaten local prospects: light heavyweight knockout artist Ulysses Diaz (7-0, 6KOs); and a trio of Cuba-born boxers in welterweight Livan Navarro (9-0, 6KOs), featherweight Hairon Socarras (19-0-3, 12KOs) and—fighting at the venue for the third time in less than five months—super middleweight Irosvani Duvergel (4-0, 2KOs). The bulk of the Telemundo cards have featured headlining acts fighting in their home region, be it Orlando, Tampa or Mexico City. The idea of returning that favor to Miami-based boxers in front of a live viewing audience is what resonates the deepest with Zabala, who has been involved in the family boxing business since he was 14 years old. Once upon a time, the bulk of the Telemundo series—which has been on air for more than 26 years and with Zabala and his father Felix Sr. long serving as the primary content feeder—was staged in South Beach, at one point running every other month from the area. The last such occasion came in June 2011, when Mexico’s Francisco Javier Castro scored a stunning 2nd round upset knockout of Puerto Rico’s Jesus Pabon in the main event. Since then, the series has steadily rotated from central Florida to Mexico City year after year, without exception. For the third time in as many fights this year, Jonathan ‘Bomba’ Gonzalez has been tabbed to kick off a new season of Boxeo Telemundo. The resurgent flyweight contender—who scored victories in the spring and summer premiere of the long-running boxing series—will grace the marquee for the first show of the fall season. Gonzalez will face two-time 108-pound title challenger Juan ‘Pinky’ Alejo in a scheduled 10-round regional title clash on November 16 at Osceola Heritage Park in Kissimmee, Florida. A familiar series theme comes in the fall season premiere, with the matchup extending the long-running in-ring rivalry between Puerto Rico (Gonzalez) and Mexico (Alejo). Each of Gonzalez’ last two appearances have contributed to the cause, scoring decision wins over Mexico-based flyweights Rodriguez and Yedras in February and July, respectively. Overall, Gonzalez (21-2-1, 12KOs) has won three straight and eight of his last nine starts, but steps up in competition for his third bout of 2018. Alejo (24-5-1, 14KOs) stumbled out to an unflattering 0-3 career start, but has since forged out a career as a bonafide contender. The 34-year old from Guadalajara, Mexico has won 24 of his past 27 starts, with his only two losses in that span coming in major title fights. A 20-fight win streak propelled Alejo to an Oct. ’15 title challenge versus the excellent Donnie Nietes, dropping a spirited—albeit lopsided—decision in their blood-soaked affair. Six fights later, he found himself back on the title stage, only to suffer a 10th round stoppage at the hands of Puerto Rican knockout artist Angel Acosta. The bout—for a vacant 108-pound title—took place at Madison Square Garden in chief support to the final fight of Miguel Cotto’s historic career (a decision loss to Sadam Ali). Alejo was ultimately outgunned, but nevertheless game for the cause despite fighting in front of a partisan crowd. While not guaranteed, the series’ history suggests that the winner of such a bout could land a title shot in 2019, which would currently come in the form of a lucrative crack at unbeaten Kosei Tanaka. The televised co-feature will offer a familiar face to Boricua boxing culture, in the form of Christian Camacho—son of the late, legendary Hector “Macho” Camacho—who faces Mexico City’s Isaac Cerda (6-2,1KO). The scheduled six-round featherweight bout will mark the Telemundo debut for Camacho (7-1, 1KO), who appeared in this very venue this past July. Also on the show, 2016 U.S Olympian and local favorite Antonio Vargas (8-0, 3KOs) will appear in a six-round bantamweight bout versus a yet-to-be-named opponent.